Holy moly I hit the jack-pot this week! My awesomely adorable friends and I met up for a bookish movie date recently and with that came an epic book swap. Check out the loot I walked away with! 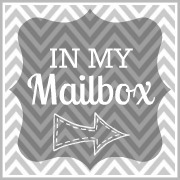 I also got a few special surprises in the mail from authors & a giveaway I won! It feels like Christmas in July!! Sass & Serendipity by Jennifer Ziegler - thank you Sarah! Something Borrowed by Emily Giffin - thank you Lena! 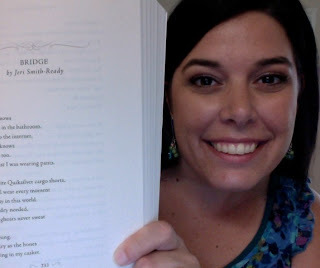 Falling For Hamlet by Michelle Ray - thank you Jess! Don't Breathe a Word by Holly Cupala - thank you Jess! Shatter Me by Tahereh Mafi - thank you Cynthia! Enthralled by Melissa Marr & Kelley Armstrong - thank you Lena! Audition by Stasia Ward Kehoe - thank you Stasia! After Obsession by Carrie Jones & Steven Wedel - thank you Lena! Supernaturally by Kiersten White - thank you Lena! Catching Jordan by Miranda Kenneally - thank you Miranda! The Iron Daughter by Julie Kagawa - thank you Cynthia! The Iron Queen by Julie Kagawa - thank you Cynthia! A sweet surprise is inside Enthralled! Jeri Smith-Ready writes a bit of Logan from Shade! Great stash! I really liked A Need So Beautiful and I can't wait to read Shatter Me. Happy reading!! On a side note it has been so much fun reading The Iron Fey series with ya'll! Wow, what a great IMM! I am quite jealous of all your books! [: Hope you enjoy all of them. I love nothing more than a huge stack of new books. You got an excellent batch this week! What an epic mailbox this week. Super jealous. I really want to read Shatter Me super badly. Hope you enjoy it. Also all your other amazing books. Looks like you'll be busy for a while. :) Have fun reading! Oh, I had never heard of Don't Breathe A Word! Thanks! I love book swaps. Books should get to as many people as they can before they fall to bits. oooo thats a pretty huge mailbox there! I really really hope you love Rockoholic! I did! one of my faves from the year! i have SHATTER ME too! shall we read in tandem? methinks yes. I see you got A Need So Beautiful YES, I really hope you like it as much as I did. And that audition book sounds super interesting, obviously I love all the other books in the pile, great haul! I've been wanting to read the Iron fey series! Nice IMM! I am reading Sass and Serendipity right now. I went to Jennifer Ziegler's signing yesterday. So fun! I'm jealous you got Shatter Me! Wow! Awesome books this week. I am especially interested in A Need So Beautiful and Supernaturally. I'll keep my eye out for your reviews. I also have Falling For Hamlet- need to read that one soon! Enjoy all of your books! Wow! Fab week. AUDITION and SASS AND SERENDIPITY are both on my list of books to read. Hope you enjoy them all! WOW!! Lots of people loving on you. Wow! You really weren't lying, you seriously racked up this week! I love getting books from friends, that's always the best, since its FREE! I hope you enjoy all of them, and happy reading! Yes! It was awesomely epic!! :D Can't wait for our next one! Oh man. Great selection of books this week. Come visit me over at Livre De Amour-Books of Love Blog. Holy moly, book gold! You did hit jackpot! Enjoy! Wow! So Many I loved and so many I'm looking forward too. Enjoy! Yeah, um, holy crap! That's a pretty epic book week! Your stash is fantabulous! Read Shatter Me stat so we can talk about it. Thankyouthatisall. SO jealous of your Supernaturally! Mine should ship soon! I want Enthralled so badly!!! Glad you're enjoying the Fey Series! And also jealous that you got Shatter Me. SHATTER ME IS AWESOME! I really hope you love it! I'm excited to read Catching Jordan, which I've already talked about with you! :) Great books! OMG you hit the JACKPOT! Luck you :). 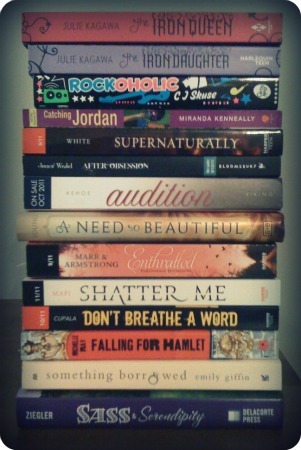 I can't wait to read Supernaturally, A Need So Beautiful, Shatter Me, Audition, and Don't Breathe a Word. Enjoy!